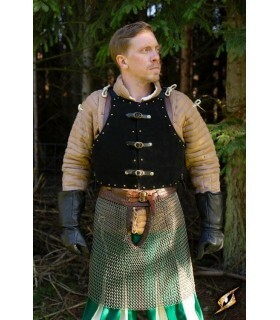 Breastplates and plackarts There are 43 products. 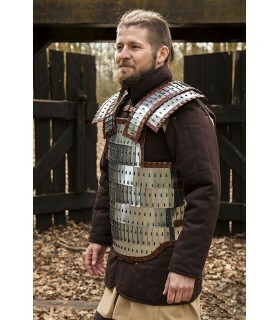 brown leather medieval armor. 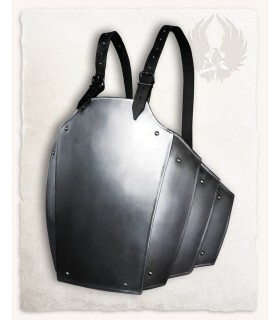 It includes front buckles and is adjustable sideways. 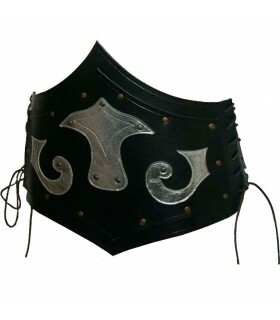 It is suitable for measuringBreast maximum 105 cm. 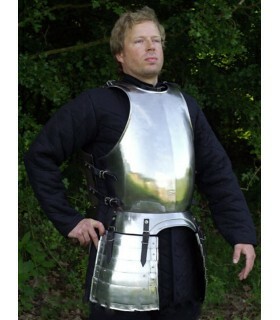 Full Greek muscled armor made of brass. 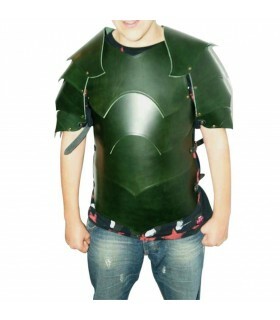 On the sides it comes with leather straps to adjust the armor. 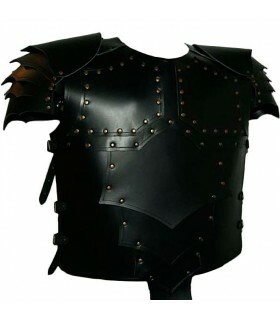 The armor is available only in size L.
medieval armor black leather. 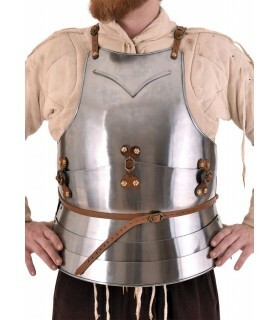 It includes front buckles and is adjustable sideways. 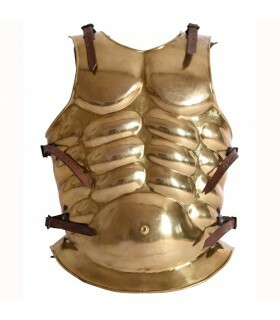 It is suitable for measuringBreast maximum 105 cm. 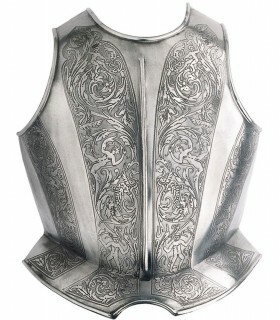 Peto with reliefs and engravings for armor. 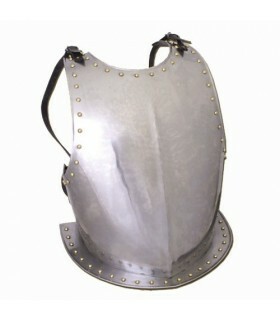 Dickey is part of medieval armor and its mission is critical because it protects Fighter chest. Peto 3 chiseled occasion rampant lions. 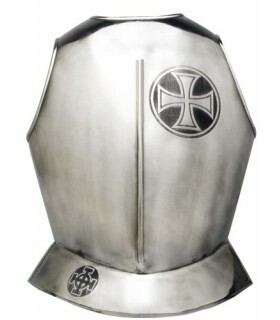 Peto Templar sized decorated with large red cross pate and Knights Templar. 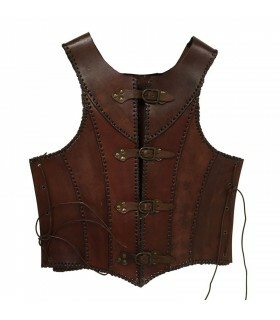 Corset made of thick skin of 3.5 mm and adjustable by lateral cords. 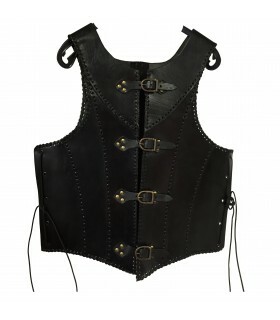 It is made in sizes; Waist S 75-90 M 90-110 waist waist L- 110 to 120. 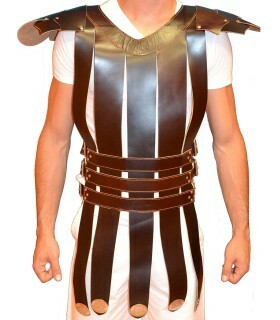 Available in Black, dark brown and light brown. 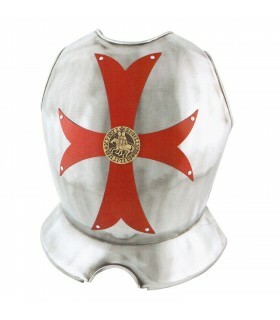 For other colors and sizes on request. 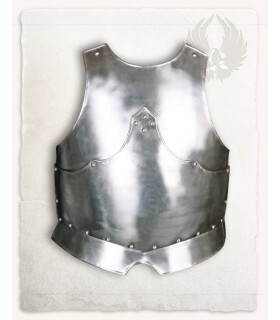 Ealizada warlord leather armor 3.5 mm. 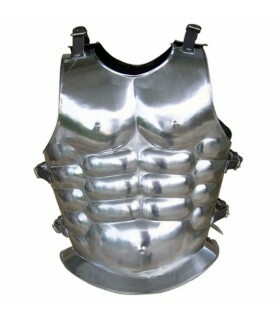 It can be manufactured in various colors; light brown, dark brown, red, green and black. All our products carry by hand and the real leather of the best quality. 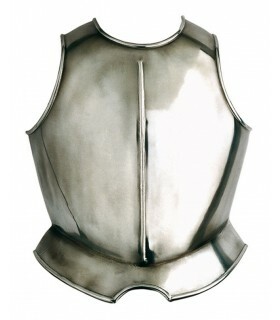 one size fits medieval breastplate made of steel with a thickness of 1.6 mm. 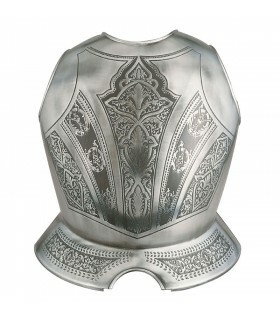 The breastplate is oval in the abdominal area and closed in the back with leather straps. 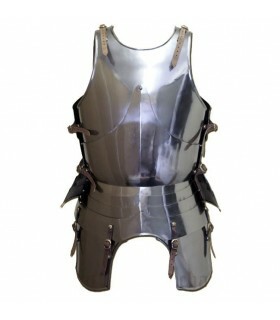 It is decorated with leather straps riveted in the arms and neck. 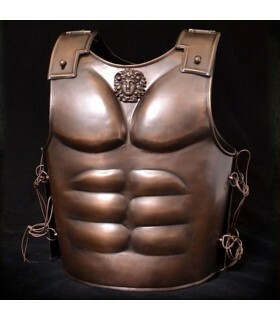 Spartan armor composed of a complete muscular breastplate and backplate. 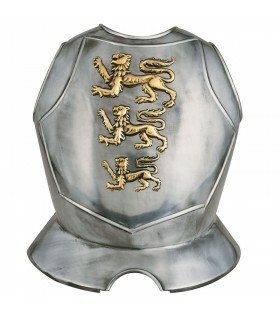 The armor is made of steel with a bronze finish. The closure system is hooking are situated on top of the shoulders and adjusted with straps that are situated on the side of the armature. 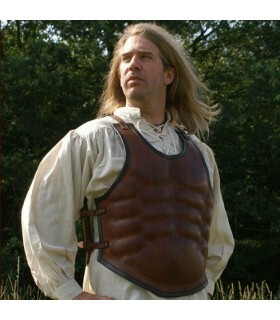 Breastplate made of thick skin 3.5 mm thick. Side and rear adjustable by laces. One size. A Article handcrafted real leather and top quality. 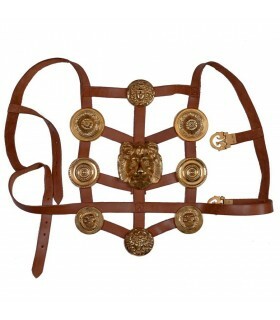 Roman phalera made of leather with buckles brassed ornamentation. 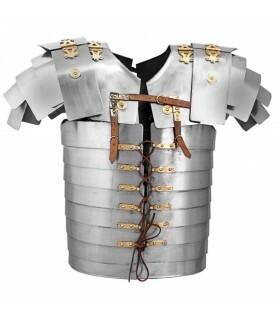 They used it in parades Roman soldiers who had been rewarded for his victory in battle. 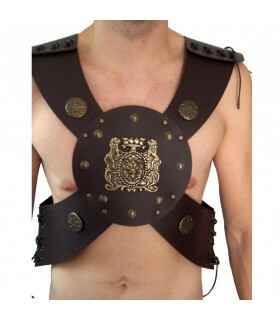 Adjustable chest circumference: 81-96 cms.Adjustable waist circumference: 97-116 cms. 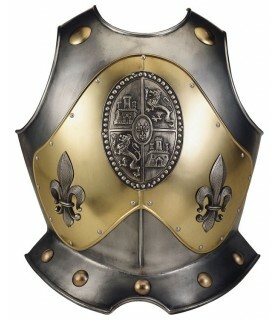 Medieval breastplate with decorative rivets. 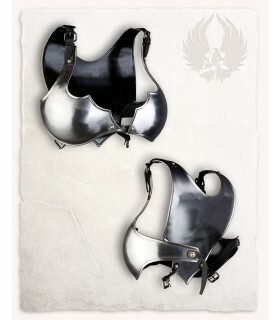 Made of steel with adjustable straps by buckles. One size. 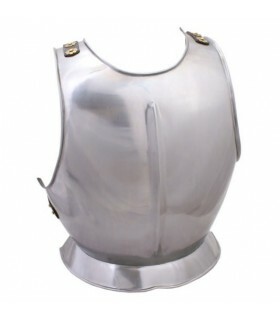 p> Chest: Up to 125 cms. Waistline: Up to 110 cms. 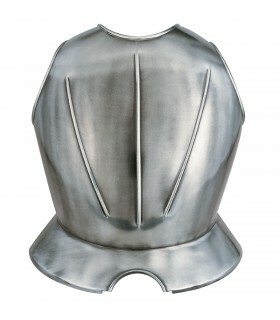 Peto medieval set Adam, made of carbon steel with a thickness of 1.2 mm transom Adam has a special design based on a full armor of the century XIV that protects the sides and the lower part of the back. 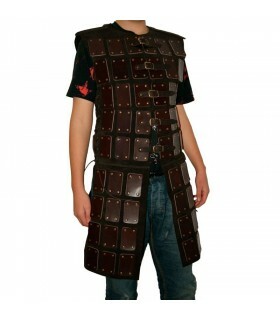 The overalls are adjusted by means of two leather straps. 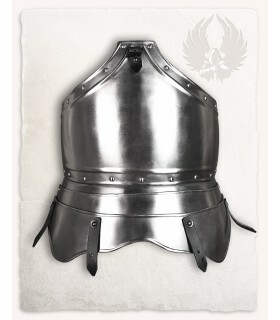 We recommend that you wear this breastplate over a gambesón or other quilted jacket. 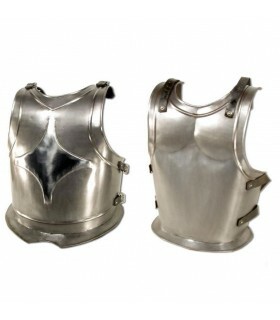 Peto medieval the full set Galahad, made of carbon steel with a thickness of 1.2 mm The two parts of the breastplate are joined and adjusted with the leather straps on the shoulder part and on the back. The bib comes ready to add, or not, the rest of the pieces in the set. 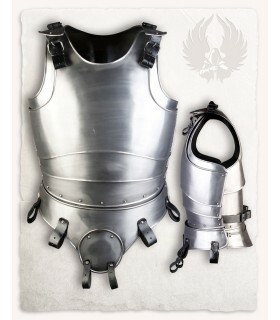 Peto medieval set Gustav, manufactured in carbon steel with a thickness of 1.2 mm The bib is adjusted by means of two leather straps. 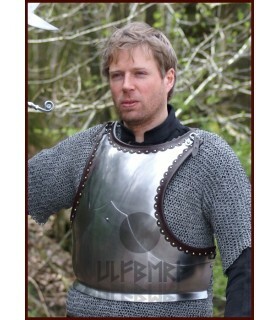 We recommend that you wear this breastplate over a gambesón or other quilted jacket. 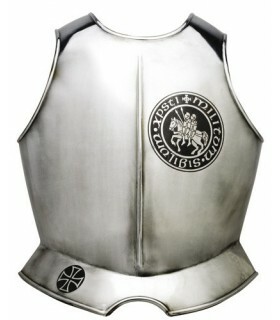 Peto medieval set Georg, manufactured in carbon steel with a thickness of 1.2 mm The bib is adjusted by means of two leather straps. 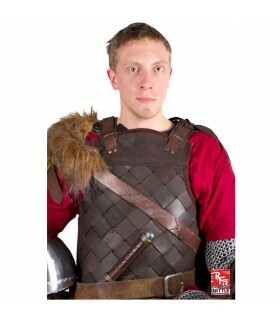 We recommend that you wear this breastplate over a gambesón or other quilted jacket. 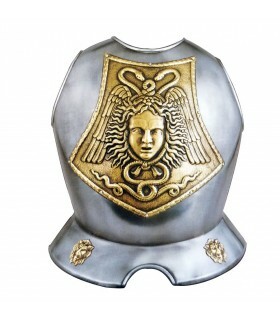 It has a maximum circumference of up to 130 cms. Peto medieval decorated in the center with the head of a Gorgon. The article is manufactured in Toledo.